Looking around my house, I still have plenty of space for my own awesome DIY home decor. There is nothing I love more than looking around my home and seeing touches of things that I did to it, and with these ideas from some of the most amazing DIY projects around the web, it’s easy to fill every nook and cranny with something mom made! 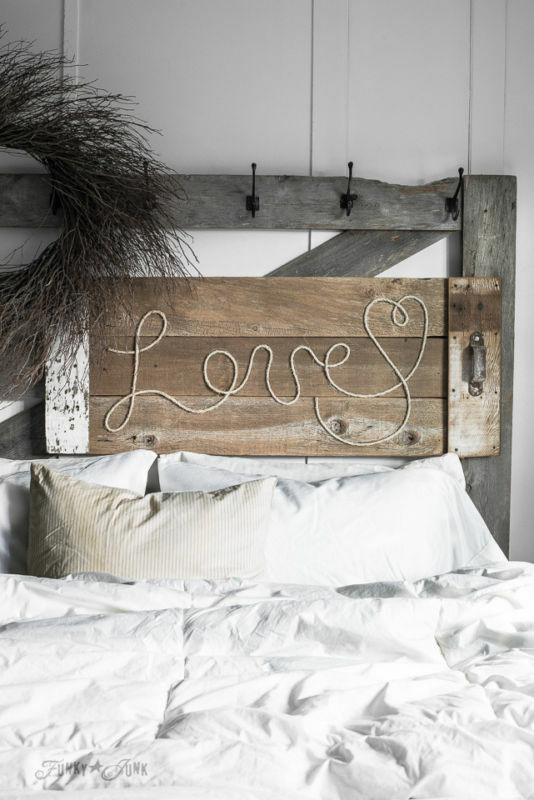 If you love DIY like I do, here are some ideas to get those creative juices flowing and your home on its way to magazine perfect- or at least cozy and cute. 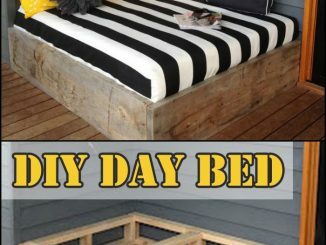 This is one of the most beautiful, most unique DIYs I have seen in a long time. I love how you can easily customize the word that means the most to you, even your last name, and hang in a window. Wreaths are so fun for the outside and bringing them inside seems like a no brainer. DIY LOCATED HERE: Less Than Perfect Life of Bliss. Conceptually I have seen a ton of animal, handle and label jars, but I adore how this one was done in all gold, making the homemade jars look straight out Pottery Barn. 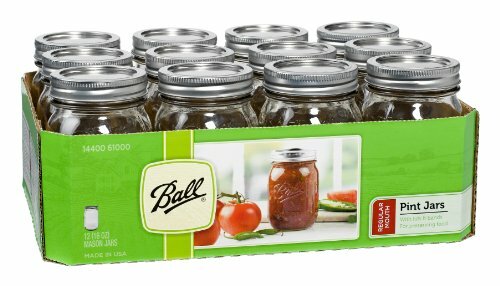 This step by step tutorial is easy to follow and will have you making jars for every empty shelf in the house! 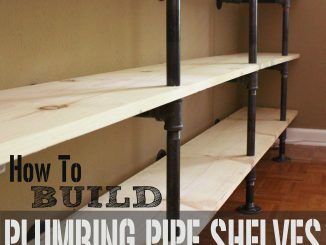 In my house I like to incorporate a variety of styles that are cohesive but not overly matchy/matchy, so this DIY Industrial Pipe Shelving is perfect! 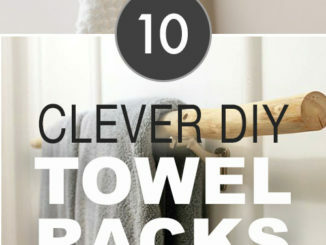 So easy to do, this would make even the smallest bathroom look like you had attention to detail. Wood is probably one of my very favorite things to have around the house. I am big about keeping natural items inside the home, it just keeps you balanced. And one part of my house that always looks a little chaotic and can use some balance is the coffee area. 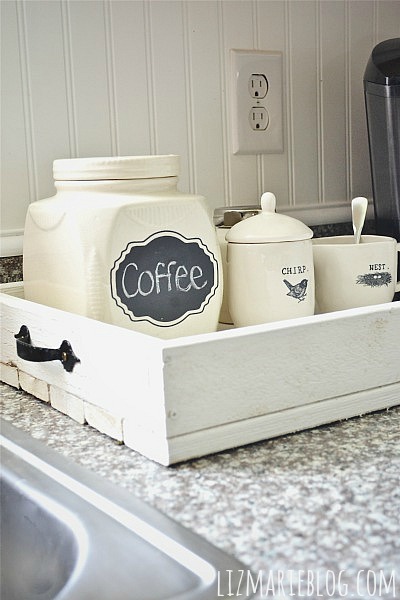 I love the concept of putting in a DIY Rustic Wood Tray to clean it up and bring some calm. I have painted vases every which way, but this is the first time I have seen a white brick vase! 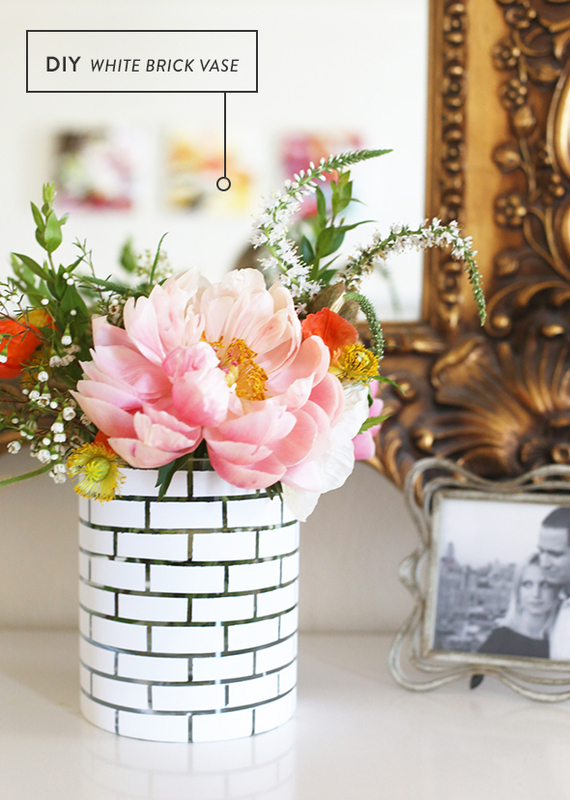 What a lovely way to bring a vase to LIFE. 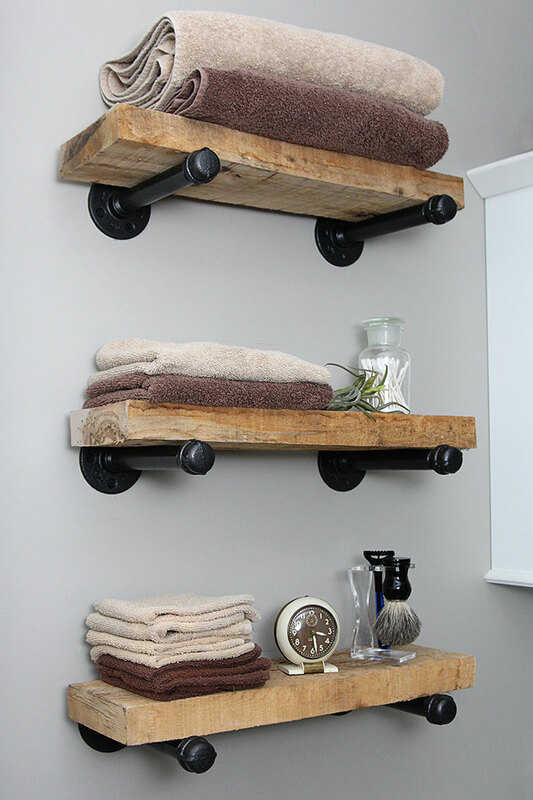 I just adore this DIY and cannot wait to make it a custom part of my home. Check out how easy the tutorial is! I love these gals because they make breaking out the hammer and saw part of every day life. 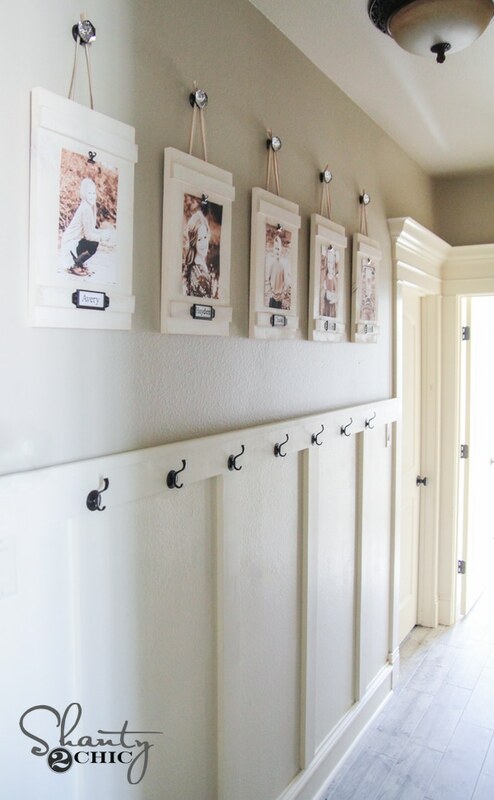 I may still be a bit behind in dping all that, but this easy Hanging Frames with Labels is making me want to run to lowes right now and get started. 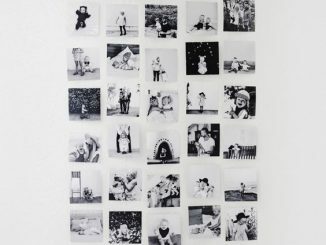 You wont believe how quickly you can transform a wall into a total gallery. This is one of MomDots Tutorials! Last summer we built a pond (first time!) in a weekend. 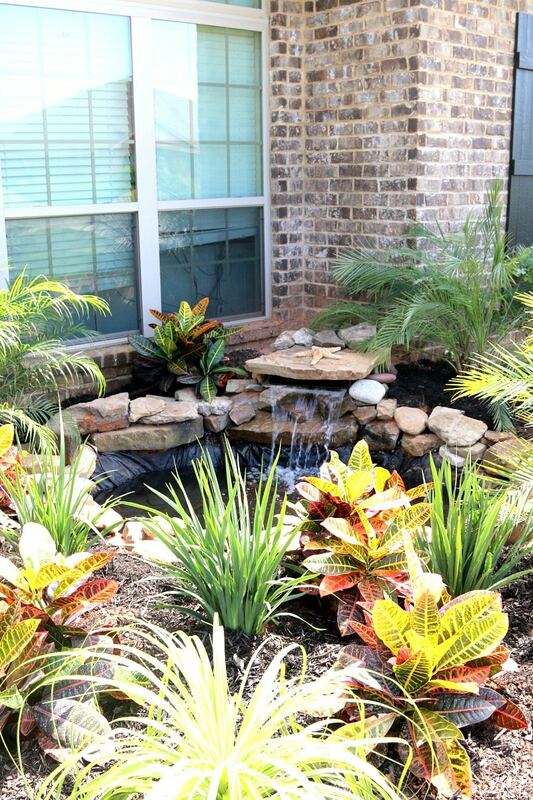 While this isn’t an inside transformation, because you can view our pond right from my office, it look makes the inside peaceful and lovely. If you can pick up a shovel, you can get this done easily! 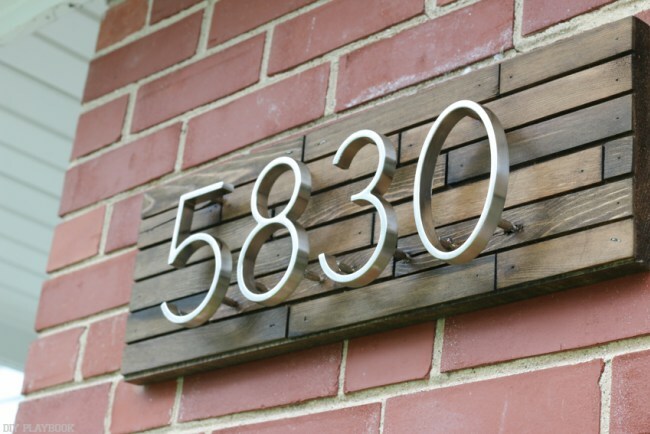 While we are outside, make sure you are updating your home address with this adorable wooden plate! Such a fantastic step by step tutorial that breaks down how to get rid of the boring and customize your numbers to look perfect. 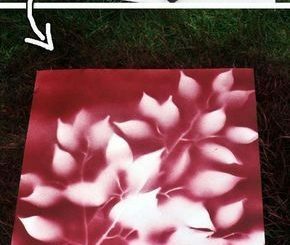 This is an impressive yet super easy way to bring out some front step personality. Globe DIY is hot on my list for this years DIY projects. I plan on designing my own for my desk as soon as I can find a globe that doesnt cost an arm and a leg. 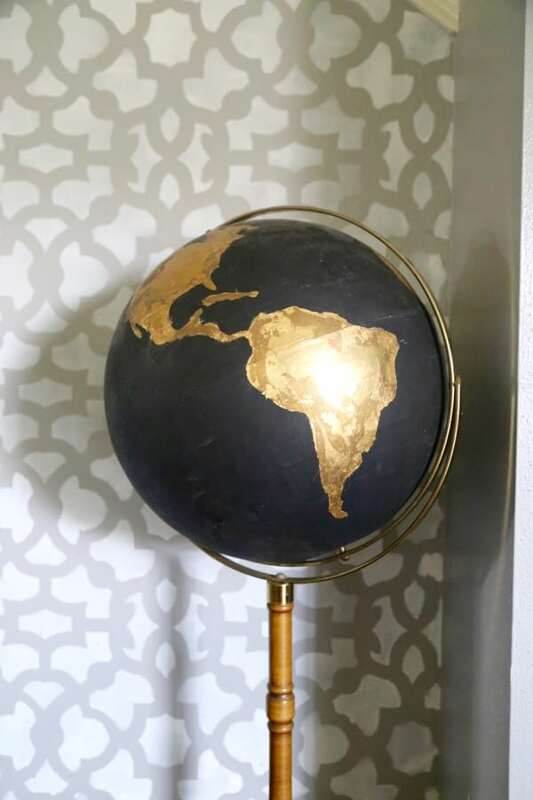 If you have one laying around, dig it out and check out this really gorgeous black and gold globe tutorial.